Roaring into theatres with Ron Howard’s almost-trademark true-story sales-pitch comes Rush. 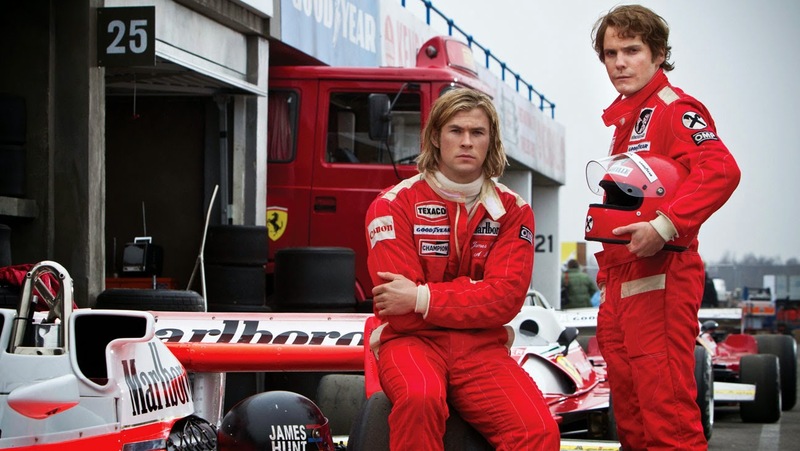 Documenting the rivalry between Niki Lauda (Daniel Brühl) and James Hunt (Chris Hemsworth), this could be a feature-film response to Senna. But the adrenaline-fuelled races with a personal theme pitting natural talent against brutal hard work manage to draw you in and speed you past the finish line. Brühl steals the show with an intense portrayal of Lauda who, though privileged (like Hunt), seems much more aware of the necessary knowledge to understand the dangerous vehicle he controls – opposed to Hunt, whose love of driving, women and alcohol seem to be his primary motivation. The 1976 racing season provides the main body of the film, and it slows down following Lauda’s shocking run at the German Grand Prix – but it remains a tight, focused effort only floundering a little when tackling their marriages. Overall, Rush comes out on top.